Web site optimization has become an essential capability in today’s conversion-driven web teams. In Part 1 of this series, we introduced the topic as well as discussed key goals and philosophies. In Part 2, I presented a detailed and customizable process. In this final article, we’ll cover communication planning and how to select the appropriate team and tools to do the job. For many organizations, communicating the status of your optimization tests is an essential practice. Imagine if your team has just launched an A/B test on your company’s homepage, only to learn that another team had just released new code the previous day that had changed the homepage design entirely. Or imagine if a customer support agent was trying to help users through the website’s forgot password flow, unaware that the customer was seeing a different version due to an A/B test that your team was running. Link to the task or project plan where others can track the status of the test. Here’s a sample pre-test notification. Some optimization tools create a unique dashboard page in which interested parties can monitor the results of the test in real-time. If your tool does this, you can include the link here. Here’s a sample pre-launch email. Here’s a sample test results email. As is true with many things, good people are the most important aspect of a successful optimization program. Find competent people with curious minds who take pride in their work – this will be far more valuable than investment in any optimization tool or adherence to specific processes. The following are recommendations for organizations of varying team sizes. It is difficult for one person to perform optimization well unless they are dedicated full-time to the job. If your organization can only cough-up one resource, I would select either a web analytics resource with an eye for design, or a data-centric UX designer. For the latter profile, I don’t mean the type of designer who studied fine art and is only comfortable using Photoshop, but rather the type who likes wireframes, has poked around an analytics tool on their own, and is good with numbers. This person will also have to be resourceful and persuasive, since they will almost certainly have to borrow time and collaborate with others to complete the necessary work. With a team size of three people, you are starting to get into the comfort zone. To the UX designer and web/data analytics roles, I would add either a visual designer or a front-end developer. Ideally, some of the team members would have multiple or overlapping competencies. The team will probably still have to borrow time from other resources, such as back-end developers and QA. A team that is lucky enough to have five dedicated optimization resources has the potential to be completely autonomous. If your organization places such a high value on optimization, they may have also invested accordingly in sophisticated products or strategies for the job, such as complex testing software, data warehouses, etc… If so, then you’ll need folks who are specifically adept at these tools, broadening your potential team to roles such as data engineers, back-end developers, content managers, project managers, or dedicated QA resources. A team of five would ideally have some overlap with some of the skill-sets. The optimization market is hot and tool selection may seem complicated at first. The good news is that broader interest and increased competition is fueling an all-out arms race towards simpler, more user-friendly interfaces designed for non-technical folks. Data analysis and segmentation features also seem to be evolving rapidly. My main advice if you’re new to optimization is to start small. Spend a year honing your optimization program and after you’ve proven your value, you can easily graduate to the more sophisticated (and expensive) tools. Possibly by the time you’re ready, your existing tool will have advanced to keep up with your needs. Also realize that many of the cheaper tools can do the job perfectly well for most organizations, and that some organizations with the high-powered tools are not using them to their fullest capabilities. A somewhat dated Forrester Research report from February 2013 assesses some of the big hitters, but notably absent are Visual Website Optimizer (VWO) and, for very low end, Google’s free Content Experiments tool. Conversion Rate Experts keeps an up-to-date comparison table listing virtually all of today’s popular testing tools, but it only rates them along a few specific attributes. Luckily, most tools now have simple, WYSIWYG type of interfaces that allow you to directly manipulate your site content when creating test variations. You can edit text, change styles, move elements around, and save these changes into a new test variation. Some products have better implementations than others, so be sure to try out a few to find the best match for your team. Targeting allows you to specify which site visitors are allowed to see your tests. Almost all tools allow you to target site visitors based on basic attributes that can be inferred from their browser, IP address, or session. These attributes may include operating system, browser type/version, geographical location, day of week, time of day, traffic source (direct vs. organic vs. referral), and first time vs. returning visitor. More advanced tools also allow you to target individuals based on attributes (variables) that you define and programmatically place in your users’ browser sessions, cookies, or URLs. This allows you to start targeting traffic based on your organization’s own customer data. The most advanced tools allow you to import custom data directly into the tool’s database, giving you direct access to these attributes through their user interface, not only for targeting, but also for segmented analysis. Tools vary widely in their analysis and reporting capabilities, with the more powerful tools generally increasing in segmentation functionality. The simplest tools only allow you to view test results compared against a single dimension, for example, you can see how your test performed on visitors with mobile vs. desktop systems. The majority of tools now allow you to perform more complicated analyses along multiple dimensions and customized user segments. For example, you might be interested in seeing how your test performed with visitors on mobile platforms, segmented by organic vs. paid vs. direct traffic. Keep in mind that as your user segments become more specific, your optimization tool must rely on fewer and fewer data points to generate the results for each segment, thereby decreasing your confidence levels. Optimization tools work by adding a small snippet of code to your pages. When a user visits that page, the code snippet calls a server somewhere that returns instructions on which test variation to display to the user. Long server response times can delay page loading and the display of your variations, thereby affecting your conversions and reporting. When shopping around, be sure to inquire about how the tool will affect your site’s performance. The more advanced tools are deployed on multiple, load-balanced CDNs and may include contractual service level agreements that guarantee specific server response times. Most optimization vendors provide a combination of online and telephone support, with some of the expensive solutions offering in-person set-up, onboarding and training. Be sure inquire about customer support when determining costs. A trick I’ve used in the past to test a vendor’s level of service is to call the customer support lines at different times of the day and see how fast they pick up the phone. Your budget may largely determine your optimization tool options as prices vary tremendously, from free (for some entry tools with limited features) to six-figure annual contracts that are negotiated based on website traffic and customer support levels (Maxymiser, Monetate and Test & Target fall into this latter category). Tools also vary in their pricing model, with some basing costs on the amount of website traffic and others charging more for increased features. My preference is towards the latter model, since the former is sometimes difficult to predict and provides a disincentive to perform more testing. Some of the advanced tools offer automated functionality that tries to analyze your site’s conversions and notify you of high-performing segments. These segments may be defined by any combination of recognizable attributes and thus, far more complicated than your team may be able to define on their own. For example, the tool might define one segment as female users on Windows platform, living in California, and who visited your site within the past 30 days. It might define a dozen or more of these complex micro-segments and even more impressively, allow you to automatically redirect all future traffic to the winning variations specific to each of these segments. If implemented well, this intelligent segmentation has tremendous potential for your overall site conversions. The largest downside is that it usually requires a lot of traffic to make accurate predictions. Automated segmentation is often an added cost to the base price of the optimization tool. If so, consider asking for a free trial period to evaluate the utility/practicality of this functionality before making the additional investment. Most tools recommend that you implement their services in an asynchronous fashion. In other words, that you allow the rest of your page’s HTML to load first before pinging their services and potentially loading one of the test variations that you created. The benefit of this approach is that your users won’t have to wait additional time before your control page starts to render in the browser. The drawback is that once the call to the optimization’s services is returned, then your users may see a page flicker as the control page is replaced by one of your test variations. This flickering effect, along with the additional time it takes to display the test variations, could potentially skew test results or cause surprise/confusion with your users. In contrast, synchronous page loading, which is recommended by some of the more advanced tools, makes the call to the optimization tool before the rest of the page loads. This ensures that your control group and variations are all displayed in the same relative amount of time, which should allow for more accurate test results. It also eliminates the page flicker effect inherent in asynchronous deployments. By far, the most difficult step in any web site optimization program is the first one – the simple act of starting. With this in mind, I’ve tried to present a complete and practical guide on how to get you from this first step through to a mature program. Please feel free to send me your comments as well as your own experiences. Happy optimizing. Charles has been working as a UX practitioner since around the time people were worried about the Y2K problem. He is the former head of product development at DIRECTV Latin America's New Media team. 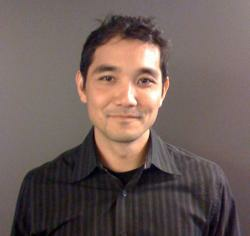 He currently works in the San Francisco Bay area managing user experience for McKesson. I will add that even if there was no winner against your control version, you still should communicate it and even celebrate the “Failure”. At the end of the day you actually got some insight about you current design, and your design team and organisation is learning from experimentation.